Until very recently, chocolate had a reputation as a health food. In pre-colonial Mesoamerica and early modern Europe, chocolate was associated with the divine and with material wealth. 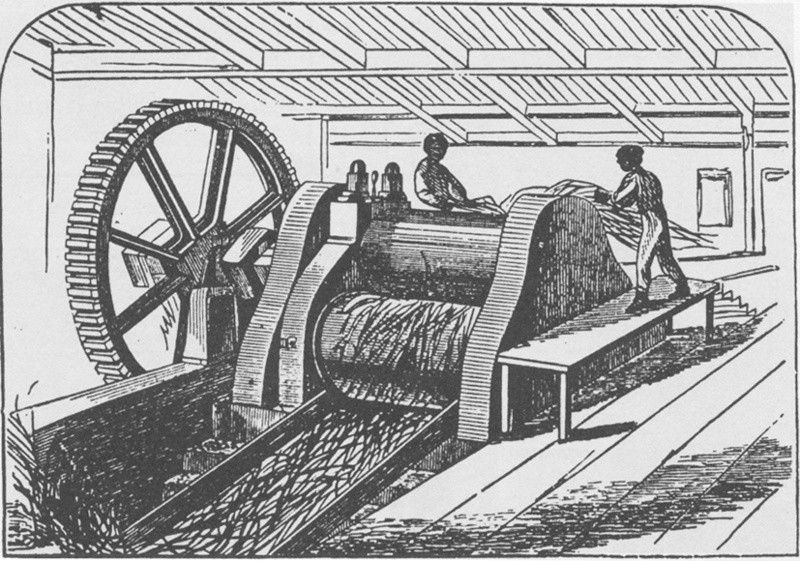 As chocolate became an industrially-produced and widely-available commodity in the 19th century, chocolate was seen as “healthy” because it was a calorically dense and affordable luxury — fuel for an ever-expanding working class. While Americans and Europeans largely stopped associating chocolate with health by the late 20th century, chocolate’s reputation is being rehabilitated in the 21st century. We now see chocolate — particularly dark chocolate and unsweetened cocoa products — as cancer-fighting antioxidants, as components of a “balanced, natural” diet, as indulgent and curative superfoods. These shifting narratives around chocolate and health reflect broader historical narratives about what it meant to be healthy and who deserved access to healthy foods. In the age of wellness culture, perhaps we can see our newest “chocolate as superfood” narrative as a return to the centuries-old notion of chocolate as an elite luxury. Long before Spain, Portugal, and France colonized Mesoamerica, the Aztecs understood cacao as a divine and invigorating food. Cacao’s caffeine energized laborers and cacao was mixed with hearty ingredients like corn to create a filling meal replacement (Coe, Chapter 2). While cacao was available to common people in limited quantities, it was most commonly consumed by priests and the nobility (Coe, Chapter 2). It was both an expensive luxury food and a key element in religious rituals and myths. For example, in this pre-Columbian Aztec document, the cacao tree is depicted as the “tree of life,” a sort of divine bridge connecting the heavens, the Earth, and the underworld (Coe, Chapter 2). These conceptions of cacao as a divine, life-giving substance and a very healthy food were inextricably linked in Aztec culture. In this way, cacao represented access to both health and wealth. In the age of colonialism, early modern Europeans also understood cacao and chocolate through this paradigm of health, wealth, and divinity. Because it was novel, delicious, and relatively rare (especially as cacao production dropped under the encomienda system), Europeans came to see chocolate as an otherworldly and medicinal luxury. Chocolate initially challenged European ideas about religion and medicine. For example, there was much debate over whether Catholics should be allowed to consume such a rich and exotic substance during Lent, and Pope Alexander VII had to issue an edict declaring chocolate permissible in the 17th century to put this debate to rest (Ball, 2000). However, Europeans quickly came to see chocolate as a health food. Like newly-available stimulants coffee and tea, chocolate provided quick energy. European doctors prescribed chocolate to treat a variety of ailments, ranging from malnutrition to smallpox (Lippi, 2013). In this period, thinness and disease were associated with poverty, and poverty was associated with moral inferiority (Himmelfarb, 1984). Therefore, a fattening, energizing, and expensive food like chocolate easily fit into early modern Europe’s understanding of what it meant to be healthy. In contrast, the industrial age democratized chocolate and millions of working class Europeans and Americans could enjoy chocolate’s “health benefits” for the first time. Instead of a luxurious health food, chocolate was now fuel for blue collar workers. For example, in this turn-of-the-century advertisement, chocolate is depicted as a quick snack for burly factory workers. In declaring that their chocolate “[made] strong men stronger,” Cadbury positioned chocolate as a utilitarian health food, not just a sweet treat. Chocolate’s position as a widely-available health elixir in the late nineteenth and early twentieth centuries represented a radical reimagining of who chocolate was for — and in many ways, a reimagining of who health was for. As western economies increasingly relied on industrial labor, the governments of these newly-industrialized countries subsidized and encouraged the consumption of “invigorating” and “healthy” foods, including chocolate (Ludlow, 2012). This reorientation of westerners’ attitude toward chocolate and health can be best understood as a shift in the means of production and the construction of value. When wealth was produced through land (e.g. agriculture and rents), aristocrats could afford to maintain their health through chocolate consumption and their health was prioritized. However, when western economies industrialized, labor created wealth more directly, and individual consumers and governments had both the means and incentive to prioritize workers’ health. In the past few decades, chocolate lost its reputation as a healthy food. After World War II, malnutrition and contagious diseases no longer plagued wealthy western countries as they had in the early modern or industrial periods. Instead, consumers’ health anxieties centered around diet-related lifestyle diseases like heart disease. Fewer and fewer people in these wealthy countries performed manual labor, so calorie-dense, “invigorating” foods were no longer a necessity. Sugary, fatty foods like chocolate were no longer healthy. In fact, chocolate was blamed for a range of health problems, including acne and diabetes (“Global Health Risks” 2009). Chocolate has only been redeemed as part of the “whole foods” movement of the past few years. This movement can be understood as a cultural shift toward an organic, “natural” diet. In the era of cold pressed juice and quinoa, lightly sweetened and “unprocessed” chocolate products have been reframed as life-prolonging foods. Chocolate’s antioxidants, “healthy fats,” and origins as a hand-harvested and fermented crop make it an attractive choice for health-conscious consumers (Beluz, 2017). Of course, these “healthy” chocolate products don’t come cheap. As we see below, Amazon.com sells bags of raw, organic cacao nibs for over $20 per bag. These chocolate products are largely inaccessible to poor and working class people, even in wealthy western countries. This modern association of chocolate, health, and wealth more closely resembles early modern Europe’s conception of chocolate as an exotic health tonic for the wealthy, rather than the industrial era’s understanding of chocolate as humble fuel for the working class. We must consider whether our reimagining of the association between chocolate and health is symptomatic of a broader late-capitalist turn away from the interests of the working class. Coe, Sophie and Michael D. Coe. The True History of Chocolate. Thames & Hudson, 1996. The relationship between commercial cacao production in Brazil and compelled or forced labor is one of extreme historical importance, yet it takes up little to no space in the history books. In his 2007 work, Slave Labor and Chocolate in Brazil: The Culture of Cacao Plantations in Amazonia and Bahia (17th to 19th Centuries), Timothy Walker analyzes this relationship, and believes that his research fills a gap in current academic literature. He argues that while popular published works explicate the importance of sugar, they do little to understand cacao plantations. For example, Walker explains that in Sweetness and Power, Sidney Mintz “argu[es] that sugar production was the primary reason for the institution of African slavery in the western hemisphere,” but what is not as well explained in his book is “the initial dependence on forced native American labor in the Brazilian cacao industry…and later heavy reliance of African slaves” (Walker, 78). What Walker’s work does not pay as much attention to, is the interconnectedness of the sugar and cacao industries in Brazil. In his concern over the unrepresented literature on cacao, he seems to discount (or at least does not sufficiently address) the importance of Brazil’s sugar production and its relationship to the cacao industry. Despite this, when put in conversation with other literatures such Herbert Klein and Francisco Vidal Luna’s Slavery in Brazil (2010), a much more comprehensive understanding of the economics of slavery and its relationship to the sugar and cacao industries can be drawn out. In the American education system, slavery is taught to us from a quite slanted perspective that barely makes mention of slave trades in other parts of the world. We learn about the great extent to which slavery affected the United States and its enduring legacy in our institutions, so it can be incredibly difficult to wrap our minds around the idea that it could have occurred on an much larger scale. Figure 1 below illustrates the major regions where slaves arrived from Africa, and the size of the circle corresponds with the number of slaves brought to that area. Brazil received almost ten times as many slaves as the United States did (accounting for approximately 40% ), and was thus in higher demand by European powers to produce sugar and cacao commodities. Fig. 1. Major regions where captives disembarked, all years. In Brazil, “[e]nterprising colonists had begun to plant sugar as early as the 1510s,” but by the 1580s, two major areas in the Northeast (Pernambuco and Bahia) became the largest production centers for sugar (Klein and Luna, 25). What we also learn from Walker, is that these same areas (mainly Bahia in addition to the Amazonian region) played the most important role in Brazil’s cacao production economy. With these products being grown in the country’s most fertile regions and close to major slave ports, a special production symmetry arose. As they were grown in close proximity, they “developed a strong commercial co-relationship in American and European markets” and “[e]lite consumers learned to combine bitter natural cacao with a sweetening agent to make the food more palatable” (Walker, 84). Sugar plantations later made their way down to southeastern Brazil in the Rio de Janeiro and São Paulo regions in the late eighteenth century, which drove the slave ports in the South to receive even more slaves in total than in the North (Klein and Luna, 69). Fig. 2. Clearing agricultural land in Bahia, early 19th century. The increasing or decreasing rate of production of sugar and cacao in Brazil was almost always a direct response to changing demand from Europeans. The demand for slaves also directly coincided with the plantation labor demands, so these factors went hand in hand. However, an increase in demand from Brazil specifically was not only because more Europeans wanted the commodity. One of the biggest hikes in demand for Brazilian sugar (and thus slaves as well) was due to the “collapse of Haitian slave production and the mid nineteenth century decline of British West Indian sugar production” (Klein and Luna, 78). This strengthened the plantation system in the Northeast of Brazil and allowed for even more expansion in Rio de Janeiro and São Paulo. Ultimately, through the historical shifts in demand and supply from all regions involved in the production of these commodities, we can understand the intricate interconnectedness between the cacao, sugar, and slave markets. It is crucial to consider their overlapping histories, and not view them in a vacuum in order to arrive at a comprehensive image of how they influenced each other throughout history. Fig. 3. Relative share of Brazil in world sugar production. Klein, Herbert S., and Luna, Francisco Vidal. Slavery in Brazil. Cambridge University Press, 2010. Mintz, Sidney W. Sweetness and Power: the Place of Sugar in Modern History. Viking, 1985. Walker, Timothy. “Slave Labor and Chocolate in Brazil: The Culture of Cacao Plantations in Amazonia and Bahia (17th–19th Centuries).” Food and Foodways, vol. 15, no. 1-2, 2007, pp. 75–106. Eltis, David, and Richardson, David. Atlas of the Transatlantic Slave Trade. Yale University Press, 2010. Walker, Timothy. “Slave Labor and Chocolate in Brazil: The Culture of Cacao Plantations in Amazonia and Bahia (17th–19th Centuries).” Food and Foodways, vol. 15, no. 1-2, 2007, pp. 79. By now, it is incontrovertible that two Mesoamerican civilizations—the Maya and, shortly thereafter, the Aztecs—were the first to develop a vast range of creative recipes and technically-advanced preparations of cacao. Ever since the discovery of the Princeton vase, we have been able to date the preparation and consumption of chocolate-based drinks to as early as A.D. 750. Meanwhile, Stephen Houston and David Stuart have confirmed that chocolate drinks could be prepared to feature a variety of flavor profiles, textures, and even temperatures. Indeed, we have the Maya and Aztec to thank for a variety of innovative recipes that feature cacao as their main ingredient. Heretofore, historians have used this information to bolster arguments about the ingenuity, creativity, and sophisticated nature of the Maya and Aztec civilizations. In The True History of Chocolate, Sophie and Michael Coe They describe the various ways in which the veritable Golden Age of Mayan civilization manifested itself: the erection of temples and palaces, installation of successful court systems, and development of various chocolate recipes. They argue that the preponderance of cacao preparations utilized by the Maya was just one of several manifestations of the civilization’s sophistication. Moreover, they note that cacao was a highly valuable product in both societies, used variably as a foodstuff for the elite, a ritual offering to the gods, and even as currency. In this light, it would seem that the variety of cacao recipes were developed because the substance was already considered to be valuable. Though the Maya and Aztecs were undoubtedly sophisticated and intellectual peoples, and though cacao certainly meant a great deal to them in its own right, I would like to problematize the assumption that they devised such developed preparations for cacao simply because the product carried monetary and ceremonial value. On the contrary, the proliferation of recipes and rise in respect for cacao are inextricably linked and intensely intertwined, two phenomena that occurred simultaneously and encouraged one another. By analyzing cacao preparations, I show how the preparation of cacao played an important role in engendering and augmenting an appreciation and adoration of the foodstuff. In so doing, I will prove that the early fascination with cacao did not cause the development of recipes with which to honor it; rather, the two phenomena were always contemporary and interrelated. When Fray Bernardo de Sahagún asked natives of the Yucatán for insight into the Mayan process of creating fine chocolate, he received the above description. Undoubtedly, the account confirms the Maya’s technical advancement—it evidences a woman so adept at food preparation that she easily carries out a multi-step process in order to achieve a precise, desired consistency. But beyond evincing the facility with which Maya women prepared this ceremonially important foodstuff, this passage elevates the very act of creating a chocolate beverage to the level of ritual. The tone, structure, and content of this passage reveals that the act of preparing cacao beverages was itself ritualistic and profound, allowing the chef to implicate herself in the creation of ritually-significant foodstuffs. Written in lilting, assonant triads, this account lulls readers with a mesmerizing beat. “She chooses, selects, separates.” “She drenches, soaks, steeps.” These words accurately describe the preparation, but reading them is itself enjoyable. Moreover, the content implies a close relationship between the chocolate handler and the final chocolate product. Throughout, the subject of each sentence is not the chocolate but rather the person manipulating it. This woman acts upon the chocolate—she pulverizes, filters, strains, aerates, and pours itThis is crucial, for it implies that the artisan is the most important ingredient in this ritually significant beverage. By molding, shaping, and changing the cacao into a drink, the woman insinuates her very being into the foodstuff. Certainly, one should consider the lengthy process of harvesting cacao as part of the process of creating the drink. As this video shows, this process was time-intensive and required subjective and objective specialized knowledge. After harvesting the pods, farmers remove the mucilaginous center, leave the seed to ferment, sun-dry, and toast, and finally shell them to remove the nibs that will be ground on a metate to produce chocolate liqueur. Such a process would have certainly engendered a respect and appreciation for cacao beyond its monetary or ritualistic value. Moreover, watching the process of making such a beverage confirms what the above poetic passage suggests. Namely, that the process was itself highly ritualized and called for its agent to insinuate him or herself into the final product. As early as four seconds into this video, the maker of this beverage begins a choreographed process of a certain frothing motion and particular method of serving the foamy liquid. Just as a dancer makes practiced motions look effortless, this gentleman creates the illusion that this process is simple. However, his performance belies the forethought, practice, and repetitive preparation required to master the recipe’s flavor balance and textures. As I have mentioned, this finding has usually been discussed in the context of Spanish conquest. In The New Taste of Chocolate, Maricel E. Presilla assures readers that “before the Spanish arrived, frothed drinks were often used as sacred offerings (a use that persisted into modern times in scattered spots).” While this is an important reminder given previous histories’ tendency to unduly credit Europeans with the discovery, creation, and appreciation of chocolate, it distracts readers from aseparate, important element—the implied last step of any recipe: consumption. 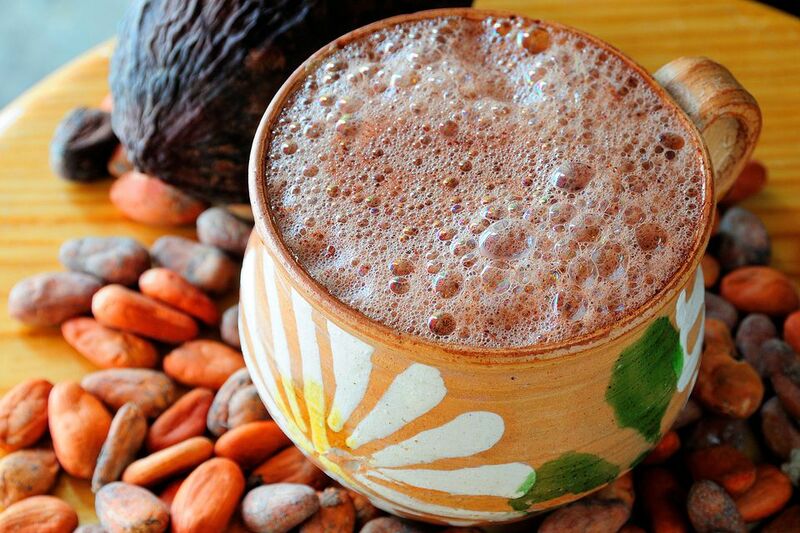 It is easy to forget, amidst all of the talk of creative seasoning and ritualized preparation of cacao beverages, that the final step in each of these processes was to serve the beverage to a Mayan or Aztec royal. Given that the final, drinkable product was one that, I argue, functioned as an extension of its maker, this final step of any recipe is crucial to understanding how cacao preparations engendered and augmented appreciation for cacao. Indeed, it must have been a heady experience to serve such a beverage—which symbolized painstaking labor, a ritualistic extension of the self—to the Mayan or Aztec king and watch him imbibe it with pure bliss. Today, “the mere idea of chocolate without sugar seems incomprehensible to most of us.” Just as the Europeans colonizers initially turned their noses at the complex, sometimes bitter flavor profiles of Mesoamerican cacao-based beverages and sought to mask its flavor with sugar to serve not only their own taste preferences but also their imperialist and capitalistic motives, Americans today have let themselves grow accustomed to overwhelming sweetness—with disastrous consequences. These days, it seems our fastest ticket to improved health is to somehow decrease our sugar intake. To modern readers, who may be unfamiliar with the tastes of chocolate as the Maya and Aztecs knew it, the profundity of the cacao-consuming experience should inspire pause and careful thought. Indeed, the process of making, creating, molding, mixing, and changing the chocolate—followed by the process of consuming it and internalizing it—allowed the cacao to take on a type of value that was neither monetary nor social, but instead personal. By altering and then consuming cacao, the Aztecs and Maya entwined themselves in the creation of its value and then literally and figuratively internalizing that value by eating the cacao. Coe, Sophie D. and Michael D. Coe. 2013. The True History of Chocolate. 3nd edition. London: Thames & Hudson. The global importance of cacao today is rooted in a widespread love of chocolate. The chocolate industry is one that is lucrative yet exploitive, enticing but oppressive—yet all based on the versatile fruit cacao. Cacao, named the “food of the gods” (theobroma cacao) by Carl Linnaeus, gleans its importance today from its role in the chocolate industry, but in the ancient Maya civilization cacao’s significance was as much religious as it was dietary (Luna 87). This post will explore artifacts from the classical period of the Mayan civilization (500-800 CE) and evidence of cacao’s influential spiritual significance. The ancient artifacts explored showcase cacao’s intimate relationship with the human origin story of the ancient Maya. These spiritual beliefs laid the foundation for the important role cacao would play in Mayan civilization from a social, religious, and alimentary perspective. As Maya hieroglyphic specialist Gabrielle Vail explains, the role of cacao was grounded in an ancient history that traced back to the creation of humanity. According to the Popol Vuh, and ancient Mayan epic, cacao is one of the “precious substances”, along with corn, that poured from the “Sustenance Mountain” to ultimately create humanity (Vail 4). 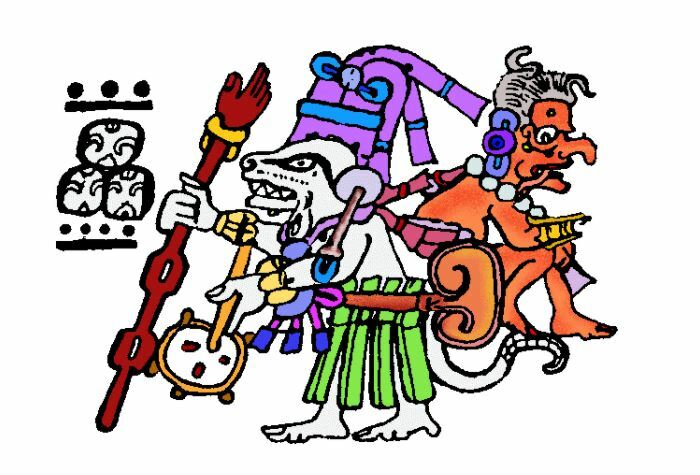 Before cacao catalyzed the creation of human beings, it belonged to the realm of the Underworld lords, where it “grew from the body of the sacrificed god of maize, who was defeated by the lords of the Underworld in an earlier era” (Vail 4). Later the god of maize would be resurrected by his sons the Hero Twins, who overcame the gods of the Underworld, ushering in the advent of human life (Vail 4). The work of historian Simon Martin provides great insight on the role of cacao in Classical Mayan religion. The image below displays a black ware vase and Martin’s sketch of the artifact. Known as the Berlin vase, it depicts what Martin calls the “transubstantiation of man, maize, and cacao” (156). Produced in the Early Classic period, the artifact illustrates the mythological tale of cacao’s divine role. The vase depicts the death and transformation of the maize god, and the new lord who would follow in his footsteps (Martin 157). The lord who continues in the maize god’s steps is represented by the middle tree, which sprouts two cacao pods. The corpse of the maize god, reduced to a skeleton, can be seen at the base of the image. Simon Martin, Cacao in Ancient Maya Religion, University Press of Florida, 2009, p. 158. The image below is from a small stone bowl from the Early Classic era of Mayan civilization (250-600 CE). Martin analyzes the relationship between the artistic imagery and hieroglyphic text in this piece. Per Martin, the ripe cacao pods that adorn the man’s limbs and the “wavy wood motifs” which decorate his skin, indicate that this artifact depicts an anthropomorphic cacao tree (155). Although this deity has been dubbed a ‘Cacao God’ Martin argues that references to cacao in the image instead depict the Maize God as “the embodiment of a cacao tree” (155-156). Martin substantiates this conclusion through the translation of the hieroglyphs, which roughly translate to “Maize Tree God” (156). This combination of cacao imagery and maize deity inscription led Martin, like Vail, to the sixteenth-century K’iche’ Maya epic, the Popul Vuh, a mythological tale in which both the artifact’s text and depiction make sense. Simon Martin, Cacao in Ancient Maya Religion, University Press of Florida, 2009, p. 155. This image below is Simon Martin’s sketch of the lid of a Late Classic period ceramic censer which depicts an arched maize god with a cacao pod in his headdress (Martin 167). The artifact depicts the maize god in an inverted posture bearing a cacao pod. The depiction of the god is reminiscent of the idea of World Trees, which were often depicted with inverted postures (see the inverted crocodilian tree below). The artifact continues in line with the Popul Vuh, with the maize god now appearing as a World Tree. World Trees are a vital concept with ancient Mayan lore. According to the colonial era Chilam Bam documents of Yucutan, world trees helped define the limits of the cosmos and the cardinal directions (Martin 165). The depiction of the maize god as a World Tree followed his death and consequent rebirth as such a tree. Simon Martin, Cacao in Ancient Maya Religion, University Press of Florida, 2009, p. 167. The artifacts explored demonstrate the high value attributed to cacao within the religion of the ancient Mayan civilization. Cacao was revered on a cosmic and existential level, central to the organization of the universe and the creation of humanity. Anahi Luna suggests another spiritual connection the Maya had to cacao, by highlighting their affinity for plants with anthropomorphic structures. This idea can explain the sacred nature of both cacao and corn within the culture, both of which possess an orderly arrangement of seeds (Luna 85). 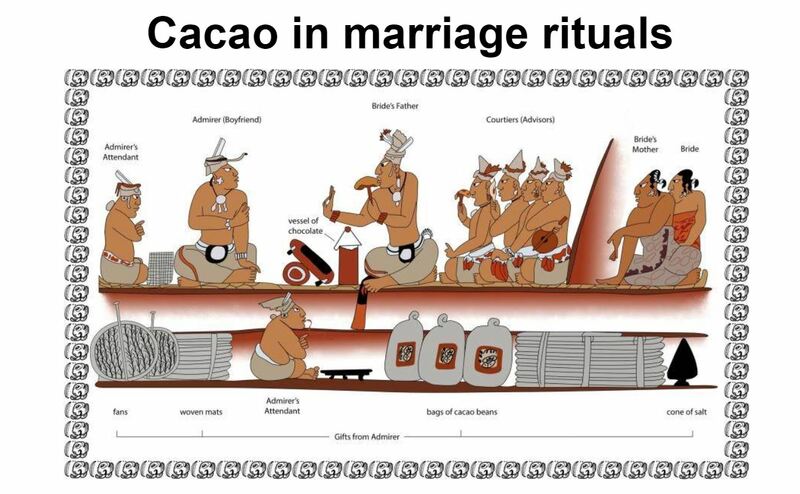 The prevalence of cacao within Mayan spirituality would continue, allowing cacao to play an important role cacao in rituals, offerings, wedding ceremonies, and eventually be used as currency (Vail 5-6). June 2013, pp. 72–96. JSTOR [JSTOR], http://www.jstor.org/stable/24318995. The Maya Bar (above) is 70% cacao solids, described by manufacturer Gearhearts Fine Chocolates as “dark chocolate accented with cinnamon, orange and smoky Ancho chile” (Gearhearts). This homage to Mesoamerican cacao recipes from Gearhearts, a Virginia-based American artisanal chocolatier, is a paragon of the common-culture legacy of chocolate’s indigenous roots. Although oranges were never an original ingredient in Mesoamerican cacao recipes (they originated in Asia, and in fact weren’t brought to modern-day South and Central America until the arrival of the Spaniards in the 1500s), the bar’s overarching nod to the Maya and the flavors and ingredients they utilized is an example of the cultural influence that this group of people had (Morton). In fact, transatlantic trade and interaction between European and Mesoamerican populations had a significant effect on the consumption patterns of each group of people. These changes were visible in the way that each culture ate and drank not only chocolate, but also dozens of other food staples. Most centrally, the advent of chocolate began an irreversible expansion of the European palate. Today, chocolate remains a food with rich cross-cultural roots, and it carries aspects of both Mesoamerican and European influence that have persisted for hundreds of years. Though it was the Europeans who were the colonizers, Mesoamericanization of the European palate was significantly more pronounced than the reverse influence of the Europeans on Mesoamerican consumption habits. The Europeans viewed chocolate as an exotic, untamable substance, in the no-man’s-land between luxury and health. Even in the early stages of colonialization, Europeans recognized its importance and value, both in Mesoamerican culture and as a commodity. Anthropologist Sidney Mintz writes in Sweetness and Power, “… for [the Spaniards’] North European rivals trade mattered more… and plantation products figured importantly…[including] cacao, a New world cultigen and more an indigenous food than a drink” (Mintz 36). Cacao became critical and desirable in several socioeconomic contexts, and rapidly became popular amongst elite individuals, first in Spain and later Italy, France, and even the United Kingdom. Most importantly, chocolate was the first time that European society placed a high culinary and cultural value on bitter flavors. 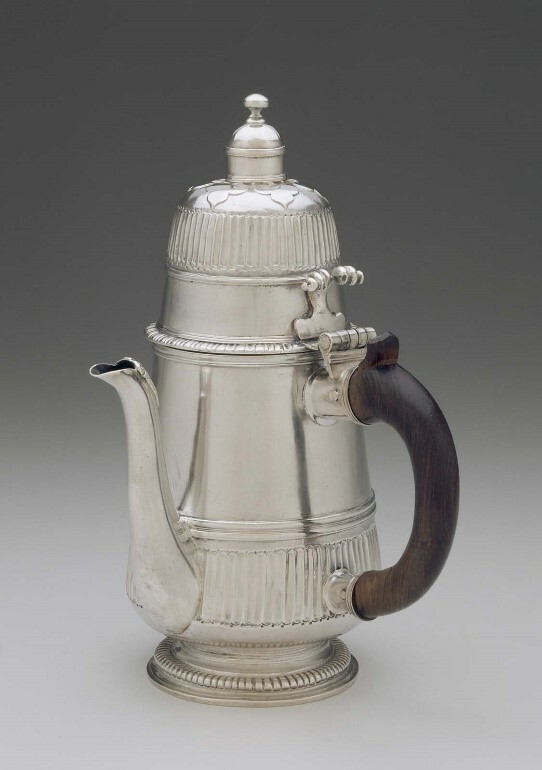 It set a flavor precedent for the success of tea and coffee, both of which became extremely societally significant all over the continent (Mintz). Even the highly-prized froth that formed on top of the cacao beverage (below) has a European descendant in the form of the foamed and frothed milk that is instrumental to so many coffee-based drinks today. Chocolate was a fundamental case of the Europeans adapting to, or- depending on one’s perspective- co-opting, the extremely foreign chemical flavor preferences of another culture. Of course, as with any occurrence of cultural fusion, Europeans didn’t completely adhere to traditional practices and recipes. They made several changes to the chocolate beverage recipe to fit their tastes – most notable were the additions of sugar, by the Spaniards, and milk and milk powder, by a Swede. They also assigned new meanings to chocolate beverages that had not been shared by the Maya and the Aztecs. In his book The Brief History of Chocolate, Yale anthropologist Michael Coe writes, “The Spaniards had stripped it of the spiritual meaning which it had for the Mesoamericans, and imbued it with qualities altogether absent among the Aztecs and Maya: for the invaders, it was a drug, a medicine…” (Coe & Coe 126). Interestingly, much of colonial and postcolonial Mesoamerica grew to share the same views: because of colonial occupation, mostly by the Spaniards, some of the European adaptations of chocolate ended up reflecting back to the Mesoamericans. The culinary and industrial technology which premiered in Europe during the Industrial Revolution brought a level of physical refinement and cultural-economic prestige to chocolate that had been inaccessible to the Mesoamericans. “Eating chocolate,” as it was called, was characterized by the silky textures created by conching and further processing. Prior to the Europeans, the only commonplace solidification had been in the form of Mesoamerican “cacao balls.” These dried lumps of ground cacao and maize, which have since been replaced by balls of cacao, sugar, and flour, were broken or grated “… dissolved… in water… and heated [it] to make a thick hot drink” (Presilla 2). This solidification allowed for chocolate to travel differently and to travel prepared for consumption, contributing to the ultimate democratization of chocolate that we see in both Mesoamerica and Europe today. The two graphics below, from a lecture by Dr. Carla Martin, detail the prevalence of certain additional ingredients in both European and Mesoamerican colonial chocolate recipes. Some of these ingredients, like vanilla (and to a lesser extent achiote), became popular quickly and are still extremely common in Western chocolate today. The bounce-back mentioned above extended to many of the common additives: sugar became popular even in Mesoamerican cacao recipes during the colonial period, and was found in approximately 40% of recipes (Martin). Ultimately, the braiding of European and Mesoamerican culture via the transatlantic slave-driven trade had long-lasting impacts on chocolate and cacao. From ingredients preferred by each group permeating into the chocolate preparations of the other group to shared cultural significances, the Europeans and Mesoamericans would not have experienced chocolate in the same way- whether that be positive or negative- if it weren’t for each other. Coe, D. Sophie and Coe, D. Michael. The True History of Chocolate, 3rd Edition. Thames & Hudson, 2013. Gearhearts Fine Chocolates. Gearhearts Fine Chocolates. Web. Accessed Mar. 11, 2018. Martin, Carla D. “Expansion”. Chocolate, Culture, and the Politics of Food. Harvard Extension School: Cambridge, MA. Feb. 7, 2018. Class Lecture 3. Mintz, Sidney. Sweetness and Power. Penguin Random House LLC, 1985. Morton, J. Orange. p. 134–142. In: Fruits of warm climates, Miami, FL, 1987. Web. Accessed Mar 9, 2018. Presilla, E. Maricel. The New Taste of Chocolate, Revised: A Cultural and Natural History of Cacao with Recipes. Ten Speed Press, Berkeley, 2009.